Matt completes a half marathon! Unfortunately all the snow meant the Bath Half was called off. 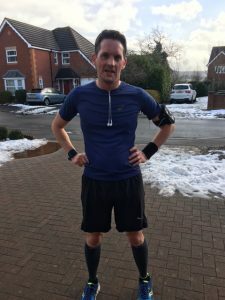 However, not to be put off Matt completed the half marathon distance in his home town and recorded an impressive time of 1 hour 42 minutes and 14 seconds (!) and has raised over £900 for Jonathan’s Voice! Great effort Matt, thanks so much for all your support.